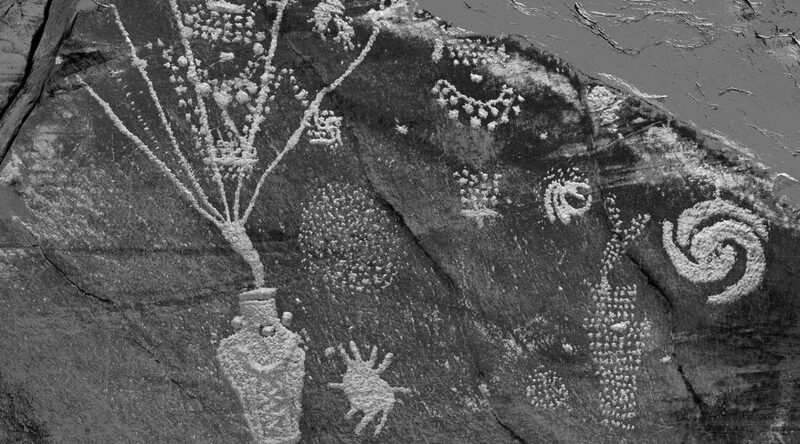 I have posted a video on YouTube that describes my method for enhancing Ghost Signs and Petroglyphs. 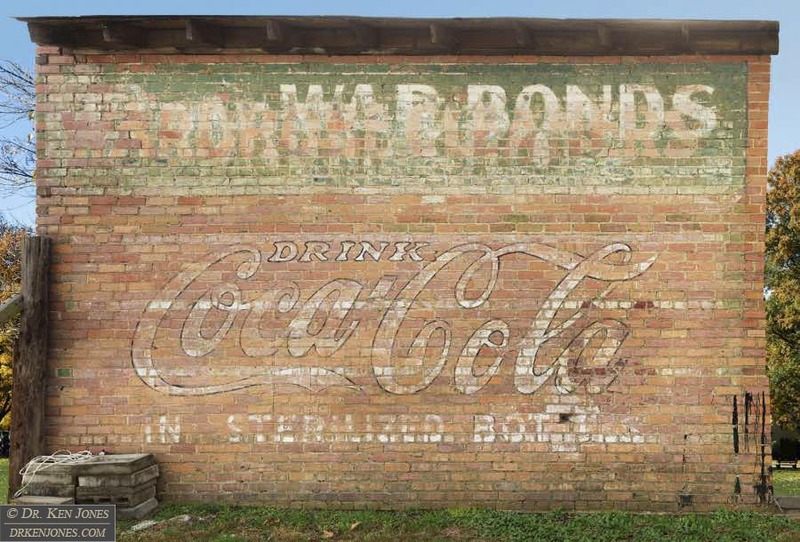 There seems to be a movement underway to restore ghost signs by doing what I call “muralizing” – repainting the most visible layer of a ghost sign with modern brilliant color paint. While these restoration efforts may have good intentions , they are frequently done by people who have not researched the proper colors of the signs, or what hidden information may be contained in the fainter layers. Here are a few examples of ghost signs that I have photographed that are now gone. I present my version and a few Google Street Views to show the changes. Approximately 200 ghost signs that I have photographed are now gone. 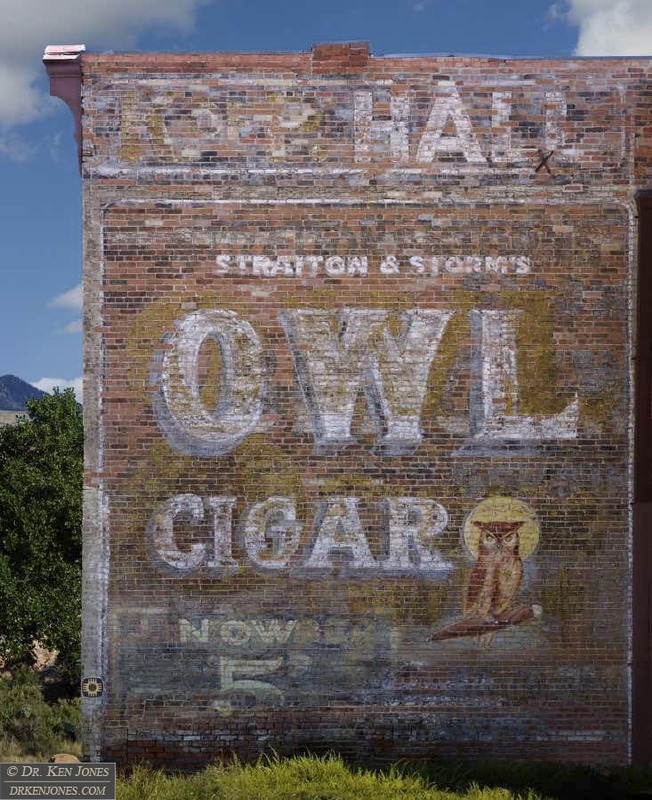 Owl Cigar / Knights of Pythias Hall / Barber Shop, Socorro, New Mexico. It was probably the best ghost sign in the state, but has now been muralized. Look at the rendition of the Owl sitting on the cigar. 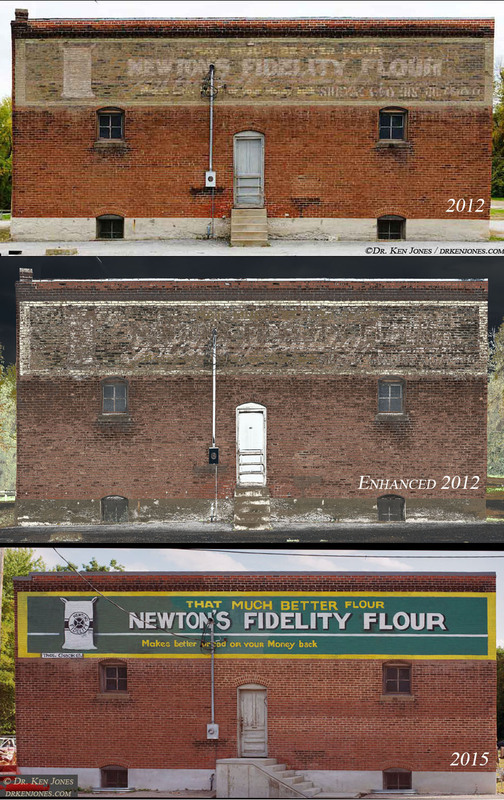 Newton’s Fidelity Flour / Golden Wedding Coffee, Boonville, Missouri : I photographed the sign in 2012. It was muralized sometime in 2015. The middle version shows a hidden graphic, now gone, for a brand of coffee manufactured in Kansas City, Missouri. I will talk about how these enhancements are done in a future post. 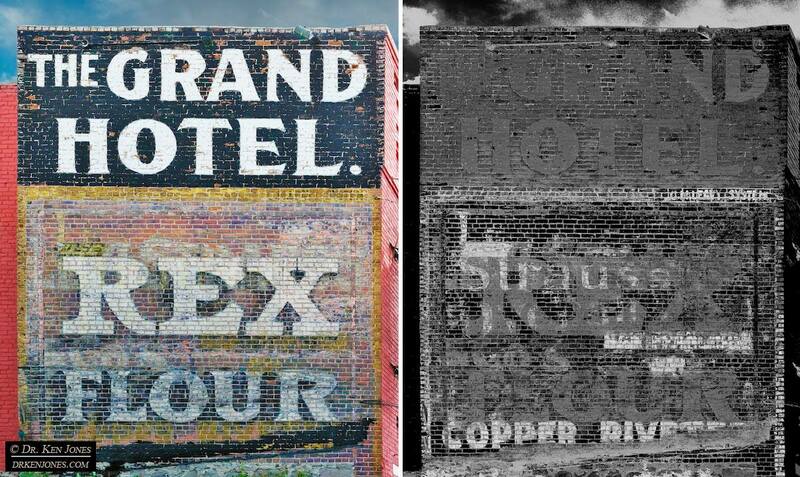 Rex Flour / Grand Hotel / Levi Strauss Overalls – Big Timber, Montana : The sign contains two separate Levi Strauss signs, one which is only visible using image enhancement. It says San Francisco Made / Copper Riveted. Only the Rex Flour is preserved (a local Montana brand of flour).